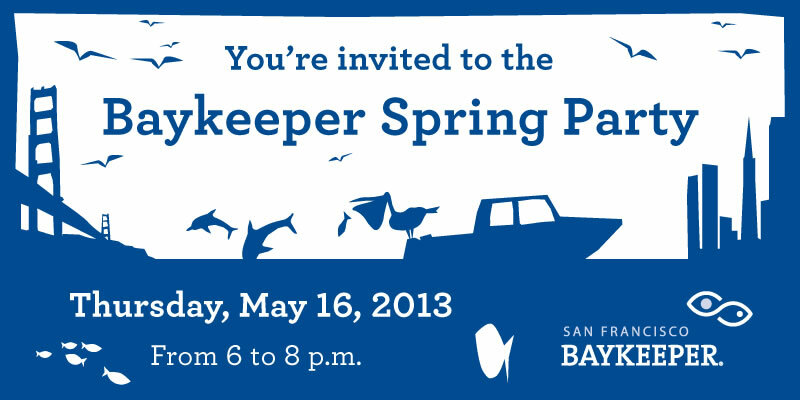 Celebrate Baykeeper's work to protect San Francisco Bay at our 2013 Spring Party! Join us for a fun, inspiring and energizing evening, and help celebrate our mission to achieve a clean and healthy Bay for all. 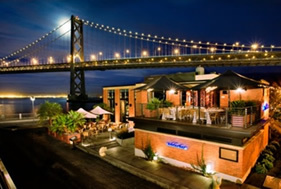 Meet your fellow Baykeeper supporters and enjoy drinks, hors d'oeuvres, and beautiful views of the Bay. We would love to see you there! Click here for details and to purchase tickets! Tickets will be available online until the start of the event at 6 pm, Thursday, May 16. Tickets will also be available at the door. VIP Supporter Tickets: $125 - join us for a weekday patrol on the Baykeeper boat! All sponsors receive special recognition on the Baykeeper website and at the event. Includes 2 party tickets. Join a weekday patrol on the Baykeeper boat. Includes 4 party tickets. Join a weekday patrol on the Baykeeper boat. 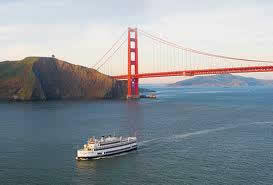 Includes 6 party tickets and a Bay tour for 4 on the Baykeeper boat. Includes 10 party tickets and a Bay tour for 4 on the Baykeeper boat. Don't miss our silent auction with fantastic items to bid on! Questions? Contact Jenna McElroy, Development Associate at jenna@baykeeper.org or (415) 856-0444 x112.